We speak on behalf of a large and growing movement of Jews that numbers in the hundreds of thousands that seeks an equitable and lasting peace for all the peoples of the Holy Land, in particular the Israeli Jews and the Palestinians. We do so from a place of love and in line with Jewish values. As rabbis, we wholeheartedly endorse the New Orleans City Council’s resolution in defense of human rights. As we just celebrated Martin Luther King day, this resolution is a ray of light. The City Council’s vote to cut contracts with companies that profit from human rights abuses is aligned with the Jewish principle of not seeking gain from theft. Socially responsible investment will bring us all towards a more just future. We are proud to join the cross-section of immigrant rights, prison reform, and LGBTQIA rights organizations—both local and national—that also stand in support of this resolution. We believe it is our religious and moral duty to champion human rights and we respect the New Orleans Palestinian Solidarity Committee’s work on this courageous resolution that seeks to protect all communities from harm, from Honduras to New Orleans and across the United States. This resolution recognizes the preciousness of human life and human rights, which we see reflected in the Jewish teaching that all people are created in the image of God, and that we are commanded to love our neighbor, and the stranger, as we love ourselves. We have seen with our own eyes the brutality of Israel’s military occupation and the daily violations of Palestinians’ most basic human rights. 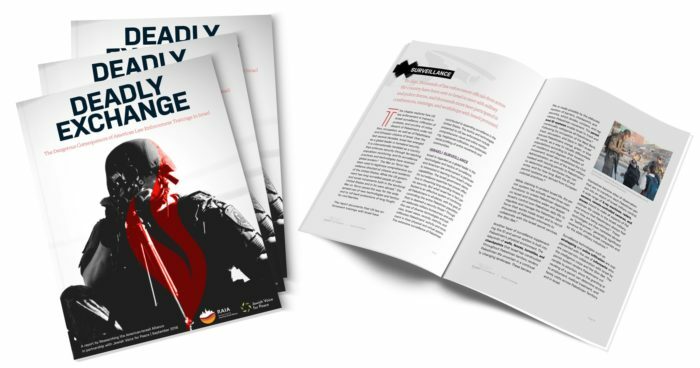 We believe in the inherent dignity of both Israelis and Palestinians, and therefore find hope in the boycott, divestment, and sanctions (BDS) movement for Palestinian rights. While we support the Palestinian call for BDS, we do not believe it is necessary to do so in order to uplift this beautiful resolution that lays out universal, standardized criteria to ensure that New Orleans does business ethically. We believe that the integrity of this resolution lies in its universality. 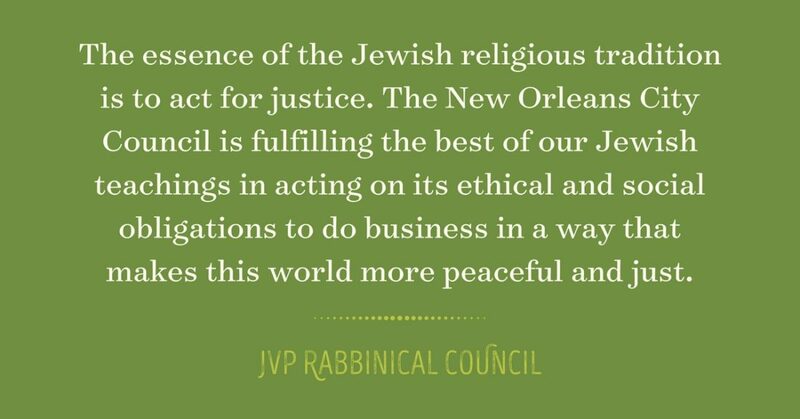 The essence of the Jewish religious tradition is to act for justice and the New Orleans City Council is fulfilling the best of our Jewish teachings in acting on its ethical and social obligations to do business in a way that makes this world more peaceful and just. Our prayer is that other city councils will join New Orleans in using their economic power to stand for all human rights.